Listen closely to Charles Ives’ Decoration Day and you may hear the lament of the dead. * The piece evokes ghosts of the battlefield and the distant echoes of small town New England observances of Decoration Day, the solemn American holiday of remembrance, started in the aftermath of the Civil War. It’s the holiday we now know as Memorial Day. Decoration Day is the second movement of Ives’ four movement Holidays Symphony, written between 1897 and 1913. Ives intended each movement to function effectively as a stand-alone piece, and that is how it’s often programmed. The music is rooted in the mysterious power of memory-specifically Ives’ childhood memories of holiday celebrations. Fragments of folk songs, Civil War melodies, and hymns such as Adeste Fideles are layered, blending into a dreamlike atmosphere. Listen for the solitary trumpet call, Taps, the sounds of a marching band in a small town parade, and the concluding plagal cadence, used in the “Amen” of protestant hymns. In the relative isolation of early twentieth century New England, Ives was pushing the boundaries of tonality in shocking ways, mirroring and in some cases anticipating similar developments in Europe. At times, Decoration Day sounds like a late Mahler adagio in terms of its orchestration as well as its disintegrating tonality. 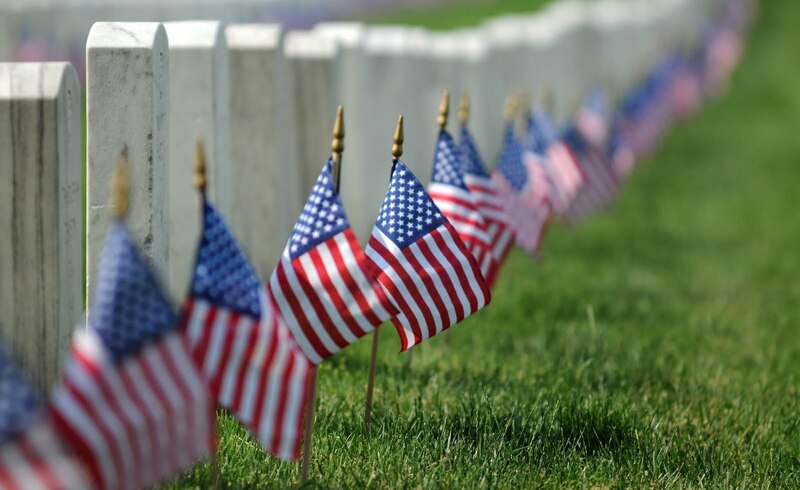 After the last grave is decorated, Taps sounds out through the pines and hickories, while a last hymn is sung. The ranks are formed again, and “we all march to town” to a Yankee stimulant-Reeves inspiring Second Regiment Quickstep-though, to many a soldier, the sombre thoughts of the day underlie the tunes of the band. The march stops-and in the silence of the shadow of the early morning flower-song rises over the Town, and the sunset behind the West Mountain breathes its benediction upon the Day. For more on Ives’ Holiday’s Symphony, watch this episode of Keeping Score with Michael Tilson Thomas. Listen to the final movement of the symphony, Thanksgiving Day, in my previous post. *See the recently published book, Lament of the Dead: Psychology After Jung’s Red Book by James Hillman and Sonu Shamdasani.